It’s finally become real! The parking lot just west of our present building, will serve as the location for our new building. 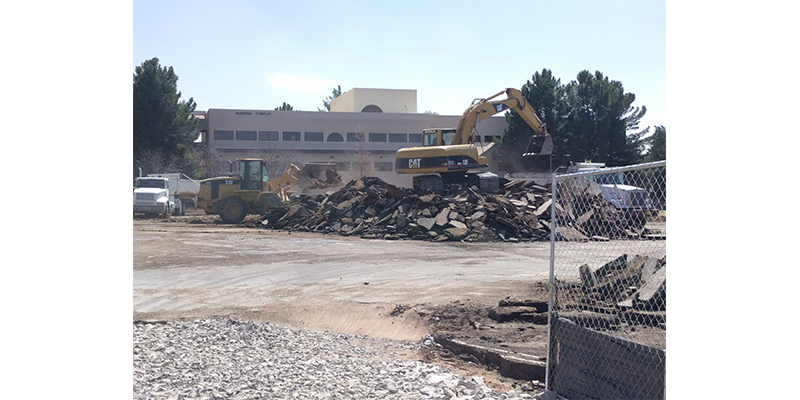 HB Construction, out of Albuquerque, will be the lead contractor for our new building and has already broke ground. We would like to invite you to our groundbreaking ceremony for the new art building and gallery to honor donors and community members on Tuesday, March 27, 2018 at 4:00 pm. It will be held in the parking lot west of D. W. Williams Hall located at the intersection of University and Solano Avenue. To keep track of the progress, a blog has been created called “New Art Building Blog” which will provide a mostly day-by-day documentation of the building process and progress. This building is coming to fruition thanks to the effort put forth by our alumni, faculty and NMSU administration to insure support and funding and to the general public who voted for the Go Bond C bill in the last presidential election. Students can expect to take art classes in the new space starting Fall 2019.